OLD PARKED CARS. 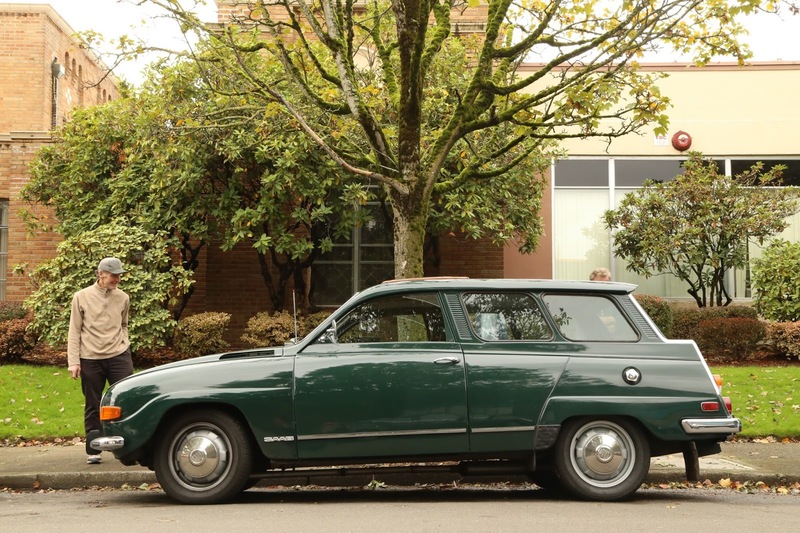 : 1972 Saab 95. 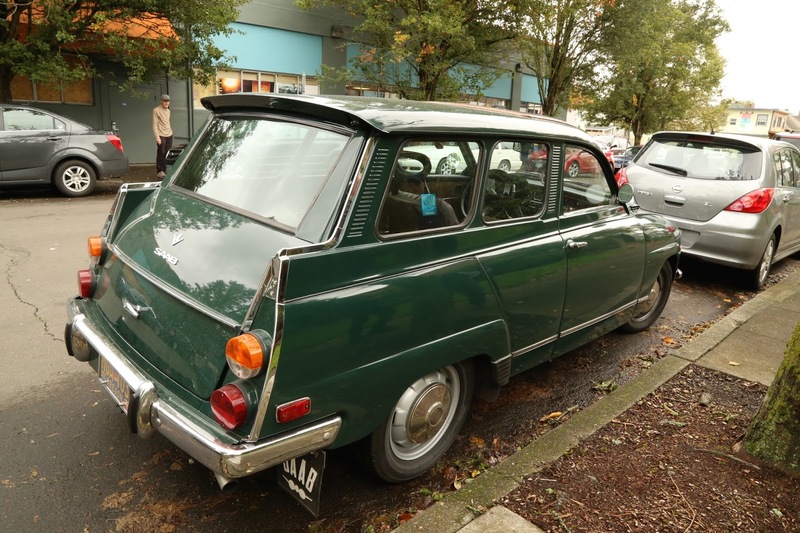 What a trundler... we would pack seven of us-five small kids in the rear and jump seats... turned as many heads as a Citroen DS... eventually Pennsylvania's salted roads helped it to fall apart... I used to tow parts SAABs with it, and jack-knifed through a wet intersection on one interesting ride... it had comfortable heated seats, and did 70MPh all day long getting 27 MPG (with the freewheel engaged) on a long drive. The only car I wish I could own again. Do you realize that previous posts on this blog are completely messed up? Like the font will be over the pictures or pictures won't appear? I guess you don't care. 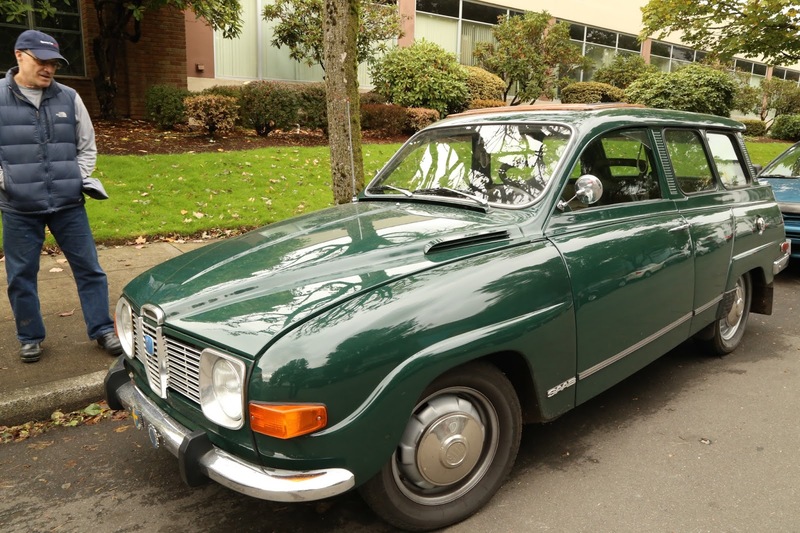 Great shots of that SAAB. What a funky cool shape. Say it ain't so, that you DO care about how the historic photos from the blog look. Is there something Google is doing that is causing this? when I click on a link that takes me to the historic posts I don't see any of the messed up characteristics described above. I wonder if it depends on what browser is used. I'm using firefox and it's working well. we are aware of the bugs and are in the process of fixing them. appreciate the comments big time. Ugliest cars of all time 1.) Citroen DS 2.) Saab 95. Yuck. I'd purposely destroy this car just to take it off the road forever.